Dimensions: height 45cm, length 92cm, width 53cm, weight 4,6kg. 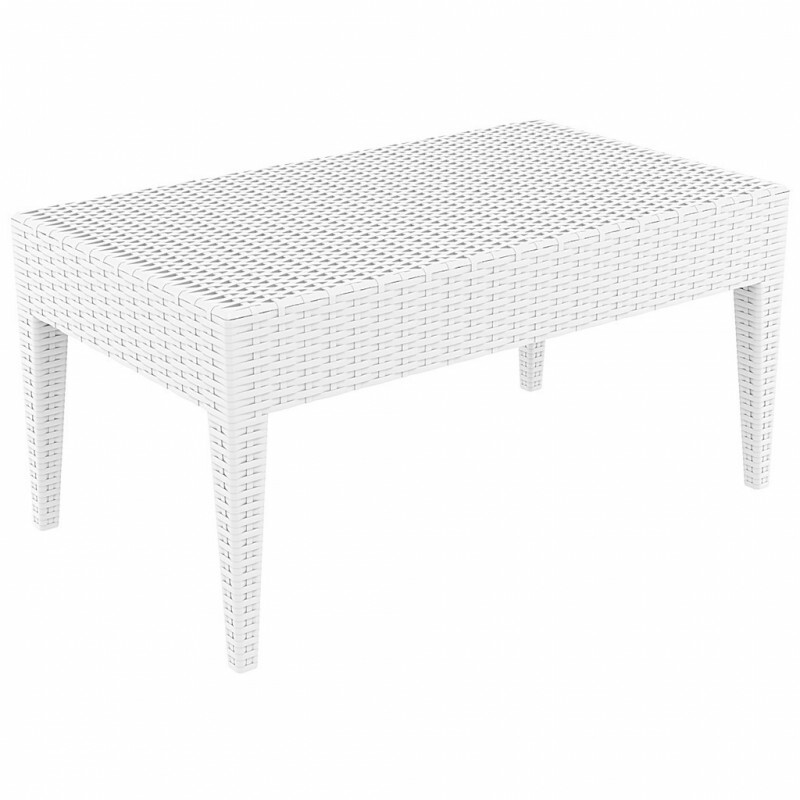 MIAMI is a rectangular side table in polyrattan extremely elegant and robust. 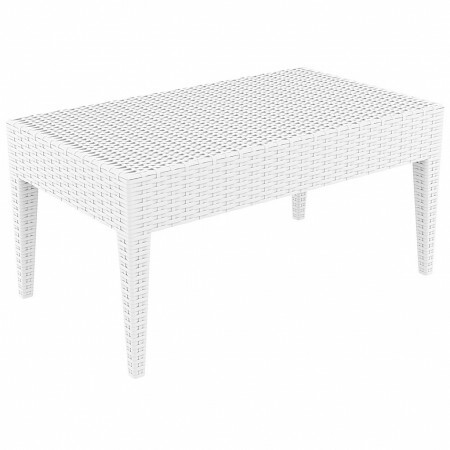 Made in polypropylene resin very resistant and reinforced with fiber glass, without any metal part. Equipped with treatment against atmospheric agents and UV rays. Also available in the square variant (visible below in related products).